After being a victim of a Ponzi scheme, the nation's oldest African-American bookstore is recovering from its financial woes. But can it cope with black flight from Oakland? 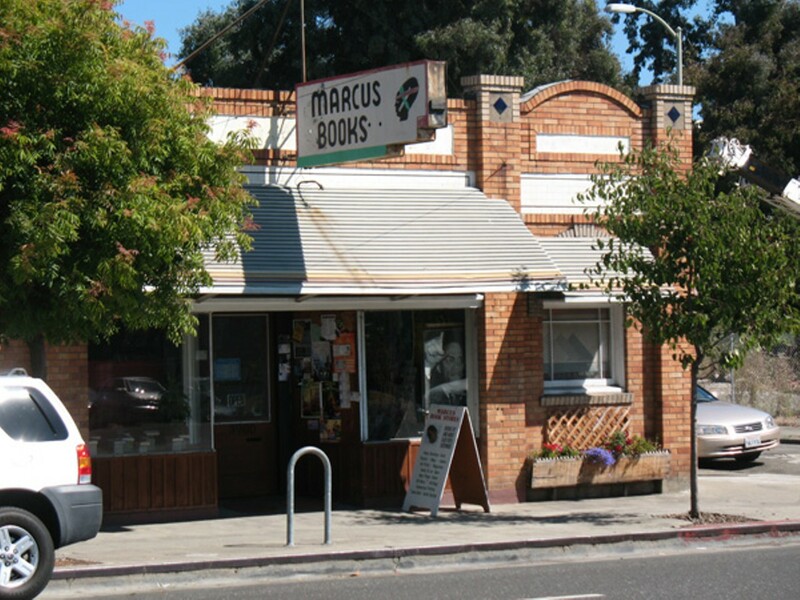 Marcus Books in Oakland will soon be getting a facelift. Twenty months ago, Marcus Books in Oakland was in foreclosure. The owners of the nation's oldest African-American bookstore had fallen victim to a Ponzi scheme and were facing difficult financial times. They never did get their money back from the people who defrauded them, but in the year and a half since, they kept the doors open and the store is now making a comeback. The business is emerging from its financial woes, has joined the social media generation, and plans to launch a new website soon. But the Oakland icon still faces major hurdles: Its black customer base is fleeing Oakland at a time when the economy remains mired in recession. Marcus Books was founded in 1960, in the back of a print shop in San Francisco. Its owners, Julian and Raye Richardson, opened the Oakland branch seventeen years later. In the following decades, the size of San Francisco's black community dropped significantly, but the Oakland store prospered. Over the past ten years, however, Oakland has experienced the same type of black migration that San Francisco did in previous decades. Since 2000, about 25 percent of Oakland's black population has left the city, the second highest such decline in the state. "African-American businesses as a whole are not doing well," noted Ray Carlisle, chair of the Oakland African American Chamber of Commerce. Merlin Edwards of the chamber said that not only have African-American businesses been impacted by the migration of blacks out of Oakland, but by the Great Recession as well. For Marcus Books, the black migration is particularly challenging because the store earned a reputation over the years as the go-to place for books by and for African Americans. In addition, the business also must compete with online bookselling giants, such as Amazon.com, that carry huge numbers of titles. "We've never really had to market ourselves until now," said Tamiko Johnson, third generation in the Marcus Books family. The business has set up a Marcus Books Social Network, a forum for discussing problems within the African-American community, as well as Facebook and Twitter pages. The store's owners are hoping that social media will help the bookstore continue to rebound from its financial problems — problems that were compounded by the effects of the Ponzi scheme. Owner Blanche Richardson said that when news broke in early 2010 about the bookstore's troubles, the media attention actually made things worse. "About 100 people called, asking questions, trying to figure out what was going on," Richardson said. "But then there were about 4,000 people who called, who said, 'We're sorry you're closing. And good luck.'" Before long, the customers stopped coming; apparently they thought that the venerable bookstore had closed its doors when it hadn't. The Ponzi scheme was engineered by Maurice Jackson, working through his fake companies Real Time Investment and Economic Real Estate Solutions, court records show. Starting in mid-2006, Jackson hosted seminar meetings to attract potential clients. Jackson told investors that property on 62nd Avenue in Oakland would act as collateral for their investments, and promised 20 percent profits. But when those promised returns didn't materialize and investors began to ask questions, Jackson told them that he would only be able to repay them on a limited basis due to the downturn in the real estate market. He turned out not to be able to repay them at all. "It affected so many people in the Bay Area, and it was so dumb," Richardson said. One day, she said, she got a phone call from Jackson, who asked her, "What would you do if you lost all your money?" According to Richardson, she never got any of her money back. Although there were likely dozens of victims of the fraud, prosecutors only charged cases involving twelve victims with losses totaling $1,035,000. According to Alameda County Deputy District Attorney William Denny, additional charges would have been redundant. Richardson never had her day in court, but Maurice Jackson is currently doing time in San Quentin State Prison, where he was sentenced this past February. As for Richardson, she says it's been the media's attention to the Ponzi scheme, more so than the scheme itself, that's really hurt her family business. "Sure, the economy was bad. But it was bad for everyone," she said. "There's always talk that we're on the verge of closing. But we're not going anywhere." While many stopped shopping at Marcus Books, other longtime supporters, including Paul Cobb, publisher of the Oakland Post, began buying from the store in bulk. Cobb remains frustrated that other media companies didn't jump in to help, too. "I don't know why more newspapers didn't join in on the campaign to save Marcus Bookstore," Cobb said. Marcus Books, he said, is a city treasure. "The City of Oakland needs to declare that bookstore a historic landmark," he continued. Cobb also has plans to encourage local public schools to buy their books by and about African Americans from Marcus Books. Cobb views the store as "an important symbol of literacy for the African-American community." Marcus Books also is an important living symbol of the Bay Area's black history. During the Black Power and Black Art movements of the Sixties and early-Seventies, Marcus Books was an important meeting place and lecture room for the Black Panthers and writers such as Amiri Baraka and Ishmael Reed. Richardson said that during Barack Obama's 2008 presidential campaign, the bookstore's business increased significantly due to the excitement of the African-American community. "Then that excitement wore off," she said, "and the reality of the economic downturn sunk in." Cobb, however, isn't the only one to help Marcus Books survive the downturn. The city got the Alameda County Small Business Association to help the bookstore launch its new website, which Richardson expects will be ready by January. 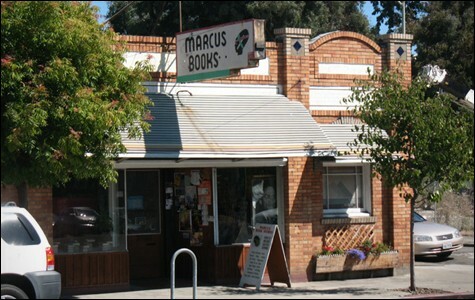 The association also plans to help renovate Marcus Books' storefront and add a cafe. Paula Groves, the lead business adviser for the business association, expects that the website will boost the bookstore's profits, noting that Marcus Books is known around the country. "And now people from all over the United States will be able to shop there," she said. Marcus Books also has several advantages over bigger retailers. Richardson said that when Borders Books first opened a store in the East Bay, the company's employees went to Marcus Books and took notes on the books the store had. "They offered a wide array of titles at the beginning," she explained. "But then, over time, you saw their stock dwindle." Sometimes customers also would come into Marcus Books and report that they just had just gone to Barnes and Noble and found its African-American selection to be unsatisfactory. "One of the things I have discovered is big box retailers have fallen out of favor," Groves said. "People, especially in the Bay Area, want what independent booksellers offer."